Last weekend I traveled to Chicago Illinois, to race the J/70 in the Chicago Inshore Verve Cup hosted by the Chicago Yacht Club. I was racing with the team Wind Czar with an all Ullman crew of Kevin Meir (Ullman Sails rep), Wally Cross (Ullman Sails Detroit), and owner Richard Lehmann of Phoenix, Arizona. 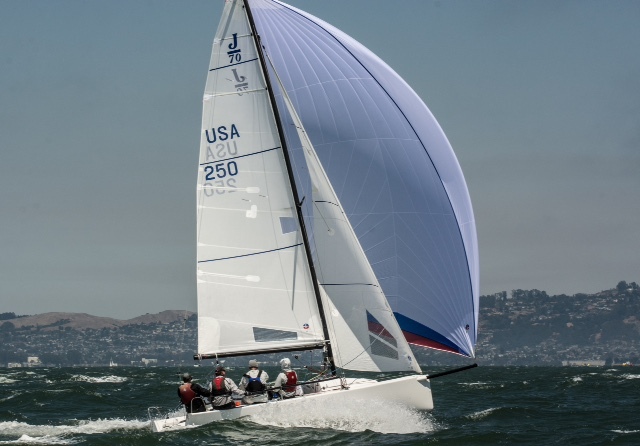 The 23-boat fleet sailed eight races over a three-day weekend. Competitors never saw anything over seven knots. The varying breeze, large chop, and no drop race made sailing consistently a must to stay in the mix. In the end Wind Czar finished up 3rd with the worlds winning “Radial Head Main”, “J1+V2 jib”, and the “Step Spinnaker”. The boat was then packed up and shipped south for the winter series.